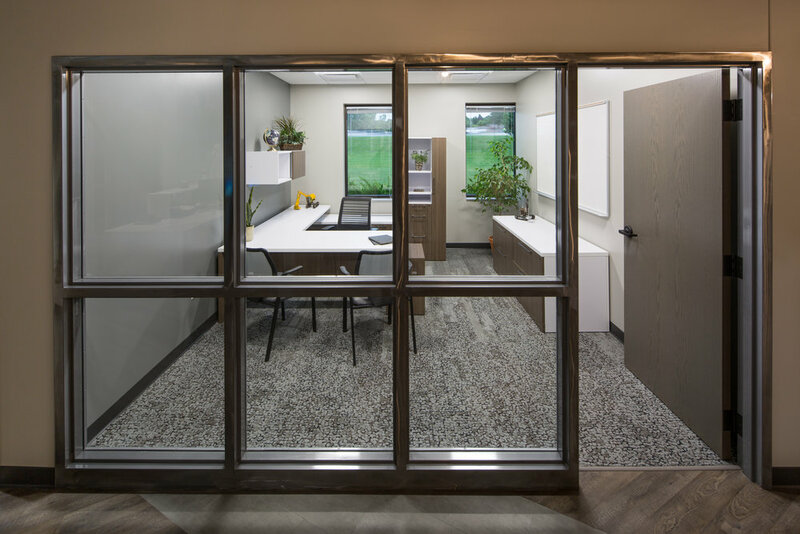 Priority Excavating desired a new office headquarters with a modern, industrial design. ETHOS Design Group used contemporary and edgy design strategies, and industrial looking interior finishes to fit the function of the space, blending several flooring materials to fit the function of the space, using unpainted door frames finished with clear sealer instead of paint in order to feature welds and grinding. 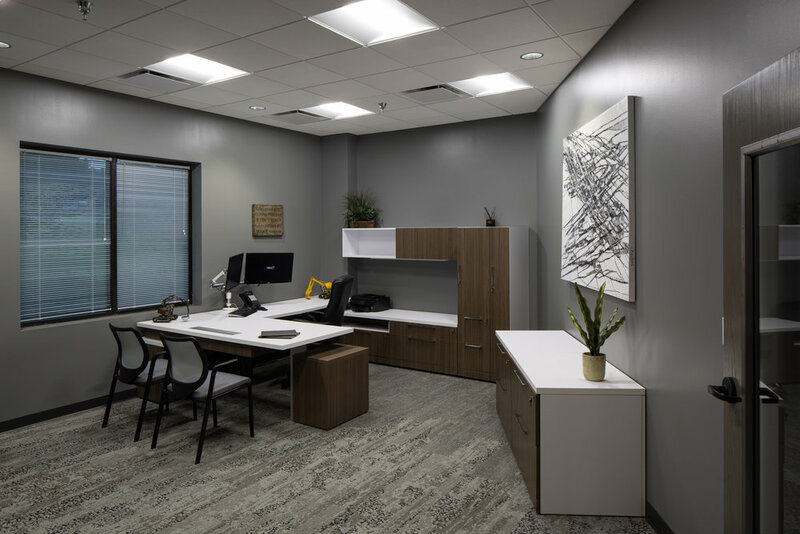 Modern clean lines of the reception desk and ceiling clouds provide contrast to industrial undertones. 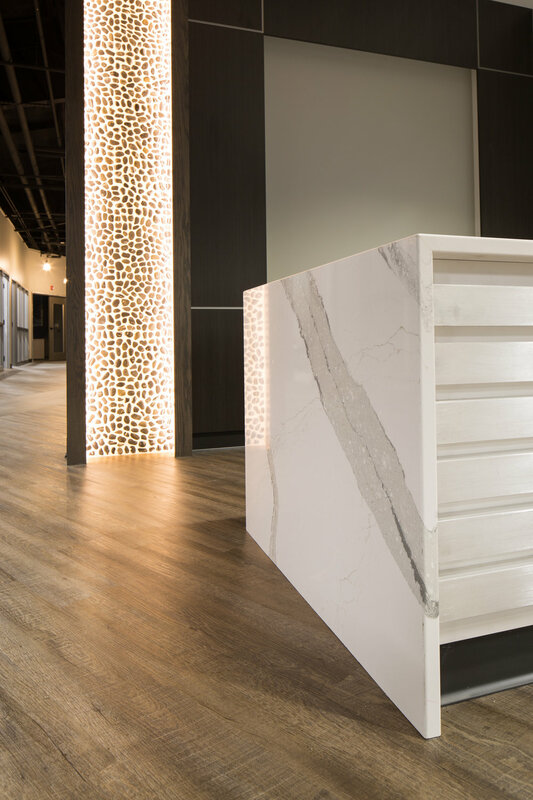 Stone, metal, and wood were mixed to add interest to the space. 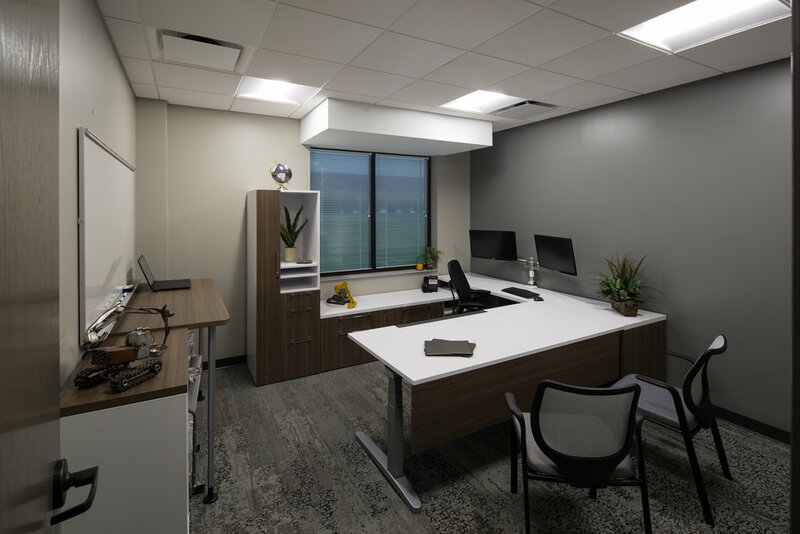 Furniture specified provides functional solutions with modern finishes, contrasted by custom stainless pieces such as an airplane wing used for a conference table.